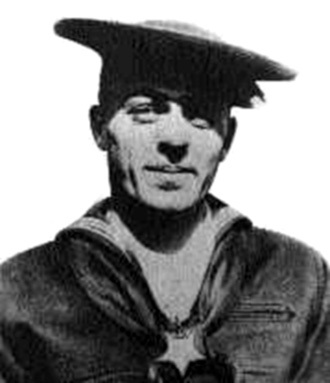 Henry Breault was a Navy sailor who received the Medal of Honor for his actions while serving aboard the US Submarine O-5. Long before the bravery of the seven submariners who received the Medal of Honor in World War II, an enlisted man, Torpedoman’s Mate Second Class Henry Breault, distinguished himself as a hero of the Submarine Force. He is the only enlisted submariner to be awarded the Medal of Honor for actions aboard a United States submarine. Breault was born in Putnam, Connecticut, on October 14, 1900. He enlisted in the British Royal Navy aged just sixteen and, after serving for four years, joined the U.S. Navy. 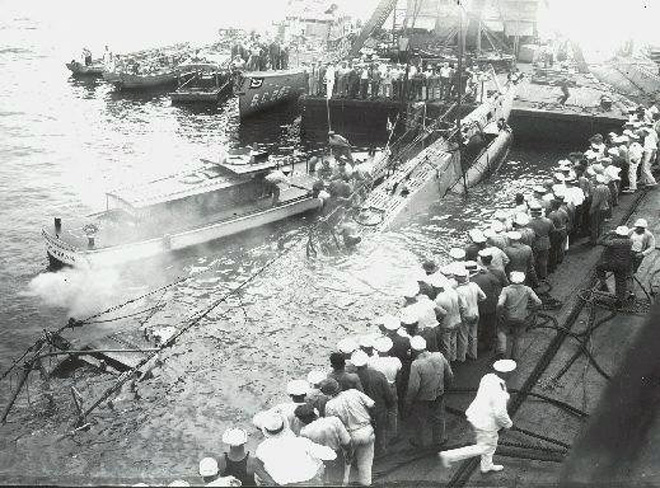 On October 28, 1923, Breault was a member of the crew of US Submarine O-5, which was operating with three other submarines of the U.S. Atlantic fleet as they headed across Limon Bay toward the entrance to the Panama Canal. The steamship SS Abangarez was also in the region headed for the port of Cristóbal, a town in the Dominican Republic. Through a series of maneuvering errors and miscommunication, the SS Abangarez collided with the O-5 and struck the submarine on the starboard side of the control room, opening a hole some ten feet long. The submarine rolled sharply to port – then back to starboard – and sank bow first in 42 feet of water. The steamship picked up eight survivors – including the Commanding Officer – who had either been topside or climbed up quickly through the conning tower hatch. Nearby tugs and ships rescued several others and in all, 16 crewmen were rescued, but five were missing. Breault had been working in the torpedo room when the collision occurred, and he headed up the ladder topside to escape. As he reached the main deck, he realized that Chief Electrician’s Mate Lawrence T. Brown was asleep below. Instead of going over the side to save himself, Breault headed back below to rescue Brown and shut the deck hatch over his head just as the bow went under. Brown though awake, was unaware of the order to abandon ship. The men headed aft to exit the sinking vessel, but water coming into the forward battery compartment cut off their escape route. As the water rose, they made it to the torpedo room and just shut the compartment hatch before the battery shorted and exploded. Breault knew the bow was underwater and they were trapped. Salvage efforts began immediately, and divers were sent down from a tug that quickly arrived at the scene. Searching for the missing men, divers hammered on the hull near the aft end of the ship and worked forward. Upon reaching the torpedo room, they heard answering hammer blows from inside the boat. The submarine needed to be physically lifted from the mud in which it rested to rescue the trapped men. As there were no pontoons within a 2,000 mile radius, a crane barge, Ajax, which was built specifically to handle the gates of the canal locks, was dispatched to the collision site. Divers worked to tunnel under the O-5’s bow so lifting cables could be attached. Ajax arrived about midnight, and by early morning, the cable tunnel had been dug, the cable run, and a lift was attempted. But the lift cables broke and a second set were worked under the bow of the stricken vessel and again Ajax tried to pull the submarine free, but the cable broke for a second time. All through the day and night, the rescuers worked, under the command of Sheppard J. Shreaves, the supervisor of the Panama Canal’s salvage crew and himself a qualified diver. Shreaves had been in his diving suit nearly 24 hours as midnight on October 29th approached. The crane attempted a third lift, this time assisted by buoyancy being added by blowing water out of the flooded engine room. The bow of O-5 broke the surface just after midnight and the salvage force quickly opened the torpedo room hatch, rescuing Breault and Brown, who had been trapped for 31 hours. Three submariners tragically perished in the disaster. 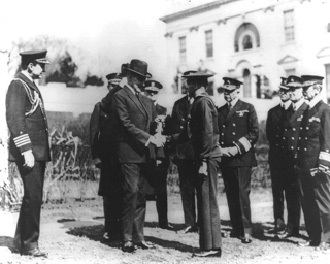 Petty Officer Breault was awarded the Medal of Honor by President Calvin Coolidge on 4 April, 1924. It was awarded for Breault’s valor in going to the aid of a fellow shipmate who would have died if Breault hadn’t intervened, completely disregarding his own safety. For his role in the rescue, Sheppard Shreaves later received the Congressional Life Saving Medal, presented personally by Breault and Brown that same year. Breault died at the Naval Hospital at Newport, Rhode Island, on December 4, 1941 and is buried in Saint Mary Cemetery in Putnam, Connecticut.